In addition to celebrating with family and friends, the holidays present a prime opportunity to thank past and present coworkers, professional contacts, clients, and others in your network. Your holiday greetings can be broadened to include an expression of gratitude for any role your recipient might have played in helping you with your job search, career, or business. The holiday season is a perfect time to connect or reconnect with the people who have helped you in a meaningful way. If you forgot to say “thank you” in the past or if you’re looking for an opportunity to express your gratitude again, reaching out during the holiday season is a great idea. However, holidays are also a time when your contacts are likely to be receiving multiple messages, so it’s important to stand out from the crowd. Here are some simple and memorable ways to say thank you during the holidays. In some situations, "thank you" can actually mean more when shared. What does that mean, exactly? Say a former colleague connected you with one of their contacts who knew of several job openings in your field. In that case, you’d want to include both parties in your card or email. Or, if you’re thanking a past or present co-worker for their hard work, you could include their manager or other individuals you work with to emphasize your appreciation. If someone referred a candidate for employment to you, you could thank the person who made the referral along with the employee who came on board. Did you get a referral for a new client or professional service provider? 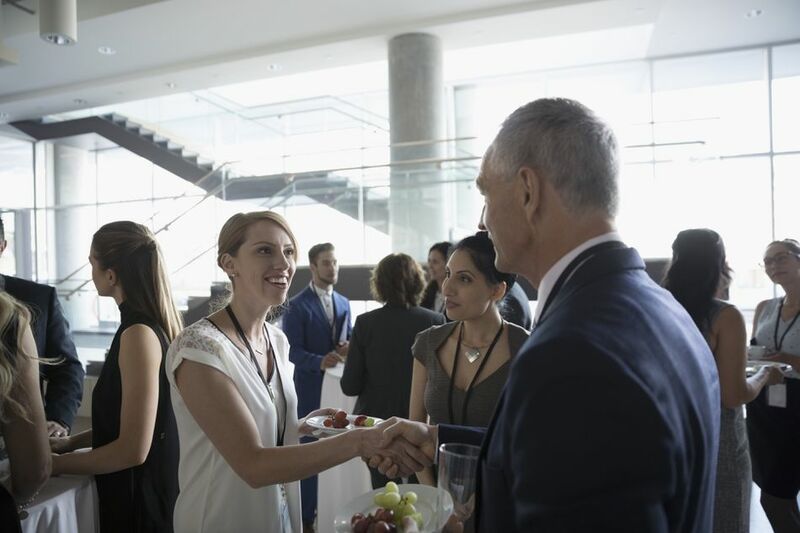 Take the time to thank both the people who gave you the referrals and the new business connections you're working with. Everybody likes to be thanked, and it can feel even more special when you're letting others know how much you appreciate someone. Flowers. Wine. Chocolate. Cookies. Fruit spreads. Popcorn baskets. Food baskets. That infamous fruitcake. These are the typical gifts that are sent in thanks or around the holidays, and it’s fairly likely your recipient will be receiving many of the "same old, same old." How do you break the mold? Be different. Consider sending a nice Moleskine notebook, a leather planner for the new year, an inspirational poster from Holstee or similar company, a calming candle, or a nice pen, for example. Make the gift personal and relevant by including a note of explanation with your gift. In a day and age where people are barraged with digital communications, stand out from the crowd by sending a handwritten thank you card. Bonus points if you personalize your communications. Rather than sending a card to one company or department, for example, write notes addressed (and personalized) for each person you’re writing to. Your note doesn’t have to be on fancy stationery or an expensive card. What’s more important is what you say: highlight what, specifically, you are grateful for, why, and how you’re there to ‘return the favor’ in the future. During the holidays, sometimes gifts can become more of a burden than a blessing. If you want to express your gratitude during the season without sending a physical gift, treat your recipient to a physical activity (or a mental break). It could be as simple as taking them out to grab a mid-morning cup of coffee with you or treating them to an after-work yoga class with you. If you’d like to say thank you from more of a distance, you could purchase a gift card (or Groupon voucher) for a local, seasonal activity, a nice meal out, a massage, or a movie. Paperless Post is a fantastically classy, and wonderfully free way to say ‘thank you.’ You can select (and customize) a variety of professional, modern templates, at absolutely no cost. If you’re going to send an e-card, Paperless Post is definitely a good choice for free cards, and you can select from a range of different holiday themes. If you'd like more options, here are 13 places to find completely free ecards and virtual greeting cards, and here are some more that are perfect for the holiday season. Do be careful you don’t choose anything tacky or outdated. Simple and tasteful is the key to making the best impression.